If you haven’t experienced a period of sleep deprivation you probably aren’t a parent. Sleep issues are one of the most universal parenting struggles. Common issues include bedtime resistance, waking in the night, and early rising. The science of behavior can offer many solutions to these common struggles. Whether you are dealing with a serious sleep issue or the typical struggles every parent faces; these suggestions are evidence-based and can help your family. If your child has a serious sleep issue it is best to have them evaluated by their pediatrician to make sure there isn’t a biological cause for the sleep disturbance. Pediatricians have limited training in this area and often recommend medication or behavioral treatment. 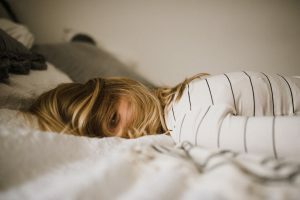 When sleep issues are not easily solved, you may need to consider getting extra support through Behavior Consultation. Your families sleep routine is an integral part of the health of your whole family and is worth investing in. When kids are not getting enough sleep, it can affect all areas of their life and development. As a parent, it is really difficult to be your best when you aren’t getting enough sleep. Sometimes you are so tired you can’t even think straight and you just need some simple, effective solutions. Start with these general proactive strategies and if you are still struggling try one of the intervention strategies or reach out for help. Set Clear Expectations and Be Consistent. When you make a rule or expectation for your child, be consistent to follow-through on it. If your expectation is that they are in bed by 8 p.m. on school nights then keep to it. Kids will challenge you more when you are inconsistent. Effective parenting is all about consistency. Exercise and Fresh Air. 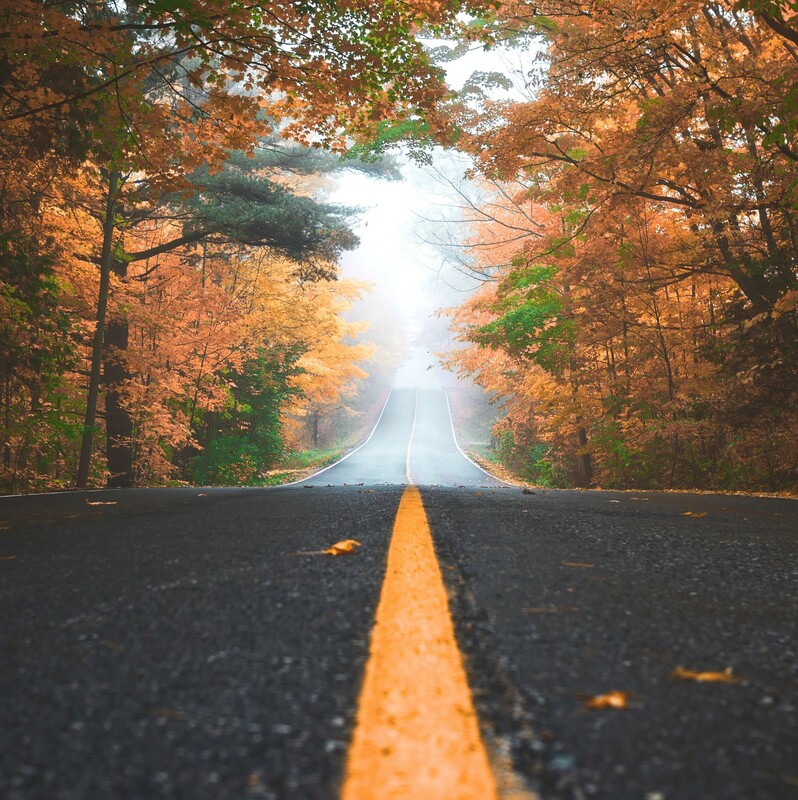 Research shows that exercise helps with sleep; I’m not sure if getting fresh air has any empirical research to back it up or if it’s just something grandmothers always say but it certainly can’t hurt. Create an Environment for Sleep. A quiet, dark, cozy, de-cluttered, toy-free room will be easier to fall asleep in. Consistent Bedtime Routine. Be consistent with your child’s bedtime routine whatever it may be; bath time, story time or other calming activities. Try to avoid exercise or screen time immediately before bed. Increase your Positive Attention during the Bedtime Routine. 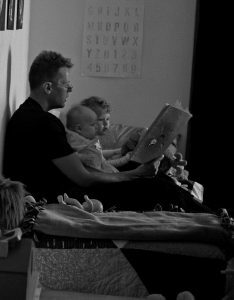 Before saying the final good night, make sure your child has gotten a high dose of your time and undivided attention- invest in some special time, read or cuddle. This will decrease the chance that your child will try to get this need met when it is time to go to sleep. Decrease your Attention After Bidding them Good Night. After you have given the final good night, minimize your attention. Children often get really creative this time of day and come up with all kinds of philosophical questions about life, death and our existence; now is not the time to engage; simply re-direct them to bed with minimal talking or attention. Write those questions down so you can make sure to talk about them the next day. Ensure Sleep Dependencies can be Present the Whole Night. Sleep dependencies are things which are needed to fall asleep. They could be a special blanket, stuffed animal, nuk, music, white noise, night light, or parent/sibling. Research has shown that sleep will be more continuous (less night time waking) when those sleep dependencies are available throughout the whole night rather than just at the initial falling asleep period. This can be tricky if a sleep dependency pattern has already developed with something that is not available throughout the whole night. One strategy for this issue is to replace one sleep dependency, in gradual steps (shaping), with another that is available the whole night. Bedtime Pass. This is a method that research has demonstrated to be really effective with young children (ages 3-10) who are having a hard time staying in bed (calling out, leaving room, endless needs and excuses). Here’s how it works; parents give their child a card (or two) that acts as a bedtime pass which the child can use to get out of their room for whatever they would like (drink of water, bathroom, one more hug, one last philosophical question). It gives them some freedom to leave their room within a clear boundary. When they use their pass, they give it to their parent and then it’s gone for the night and they need to stay in their bed. If they come out of their room after they have used their pass, parents gently guide them back to their room with minimal interactions and attention. Time-Based Visits and Graduated Extinction. This method is based on the idea that kids are engaging in behaviors that are interfering with sleep for the function of gaining their parents attention and if that attention is taken away the sleep-avoidance behaviors will decrease. Parent attention is given based on a time-schedule rather than in reaction to the child’s behavior and is gradually decreased. If your child is supposed to be in bed sleeping but rather is coming out of their room telling jokes and doing silly dances try not to laugh, it might increase that behavior. Instead, practice the art of non-reaction and guide them back to bed (I know it’s so hard not to laugh sometimes). It’s sometimes even harder not to react to them when they are crying which makes this method less appealing to many parents. Reward the Behavior you want to See: Reinforcement. When your child meets one of your sleep goals (not leaving bedroom, calling out less then X number of times, sleeps past 6 am) reward them the next morning. Maybe they get to pick what breakfast to eat or go out for a special treat. You can also expand on this by making sticker charts or token economies (child earns tokens to exchange for larger prizes). Start with small steps and gradually build as they are successful. Bedtime Fading. Research has also demonstrated this strategy to be effective with a variety of populations. 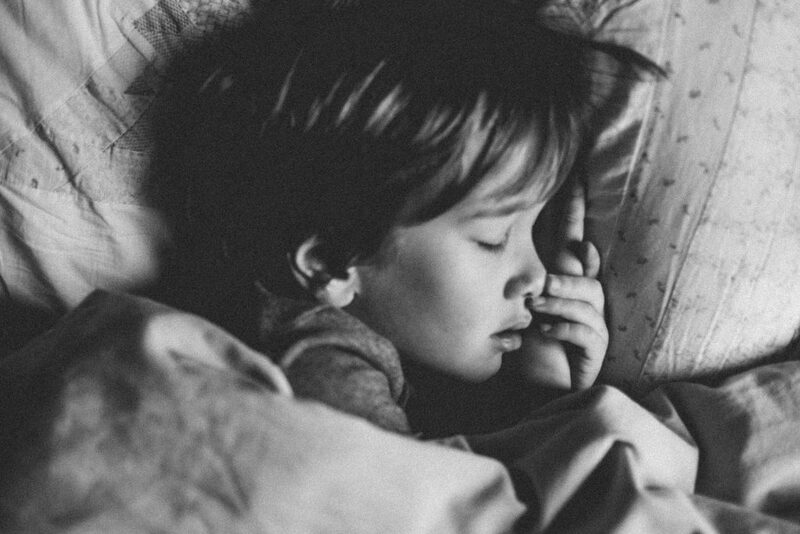 This is a strategy for children who may have a hard time falling asleep and have developed harmful patterns- often taking several hours to fall asleep. In order to increase the value of sleep, the child’s bedtime is initially pushed later (e.g., 11:00 pm) so that they are able to fall asleep faster and avoid the pattern of lying in their bed but not sleeping. 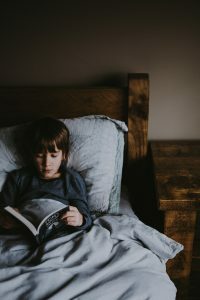 When the child is able to fall asleep in less time at that later bedtime, the bedtime is gradually moved earlier and earlier until the desired bedtime is reached. Each family has its own unique culture that needs to be taken into consideration when addressing a problem and finding a solution. Every family communicates, eats, plays and sleeps in different ways. Behavior strategies aren’t one-size-fits-all and often need to be adapted to fit the individual. Behavior Analysts use sleep assessment tools to determine what issues may be preventing a healthy sleep pattern. When barriers to sleep are identified, evidence-based solutions are applied to fit the unique needs of that family and data is used to measure progress. Behavior strategies are explained, demonstrated and practiced so that parents feel confident in how to use the tools effectively. Send me a message if you would like to talk about scheduling a free phone consultation to discuss how Behavior Consultation could help your family. Friman, P.C., Hoff, K.E., Schnoes, C., Freeman, K.A., Woods, D.W., & Blum, N. (1999). The bedtime pass: An approach to bedtime crying and leaving the room. Archive of Pediatric and Adolescent Medecine, 153, 1027-1029. Jin, C.S., Hanley, G.P, & Beaulieu, L. (2013). An individualized and comprehensive approach to treating sleep problems in young children. Journal of Applied Behavior Analysis, 46, 161-180. Ortiz, C., & McCormick, L. (2007). Behavioral parent-training approaches for the treatment of bedtime noncompliance in young children. Journal of Early and Intensive Behavior Intervention, 4(2), 511-525. Victoria, I’m glad you liked it! Thanks for you comment. Excellent article. Too many articles on this topic come up with practical solutions. Well written. Hannah, Thanks for you comment. I hope the suggestions are practical and to the point because I know parents don’t always have tons of extra time.